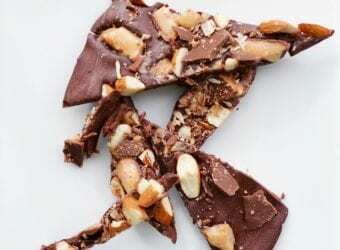 Have you ever had one of those recipes that everyone just loves? You know the kind that might make you text your friend a few days later asking her for the recipe? This is the recipe. This fabulous tomato meat sauce is so wonderful that my kids ask for it weekly. My husband loves to make it. We get requests for it all of the time. So here it is! Turn the crock pot on to saute (high) mode (alternatively, if your crock pot does not have this mode, use a pan on the stove through the browning of the meat step and then transfer to the crock pot). Heat the olive oil. 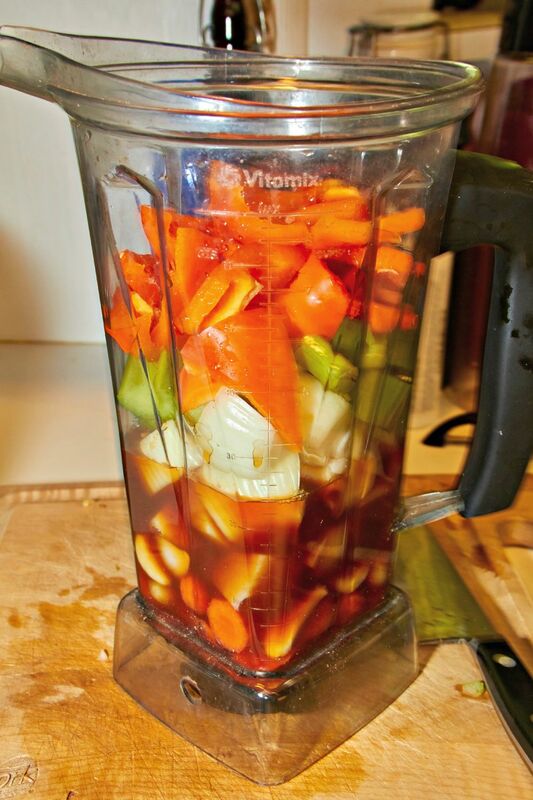 Blend the garlic, carrots, celery, bell pepper, and onion with the stock in a blender or food processor. Do not puree the vegetables, you just want a fine chop consistency. Add the vegetable/stock mix to the heated oil and cook for about 10 minutes. You want the vegetables to soften. Add the meat and brown. Make sure you break up the meat well as it cooks. Add the wine and allow it to reduce for about 10 minutes. Turn the crock pot onto low and add the rest of the ingredients, except the basil. Remove the Parmesan rind if used. Add the basil and season the sauce with salt and pepper to taste. 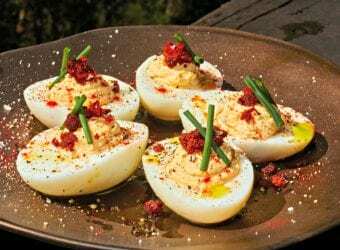 Serve with Pepperidge Farm Microwavable Bread and enjoy! Pepperidge Farm Microwavable Breads are changing the frozen bread aisle with the use of patented Quilt Wave® packaging which inflates and channels moisture away from the bread to give every loaf a toasty, just baked taste. Quilt Wave packaging is structurally designed for optimal cooking performance and ensures packaging stays cool to the touch for easy handling straight from the microwave. Whether you need to whip up a last minute weeknight meal or have unexpected guests arriving for dinner, Pepperidge Farm® Microwavable Breads are a delicious and convenient way to make your menu stand out. 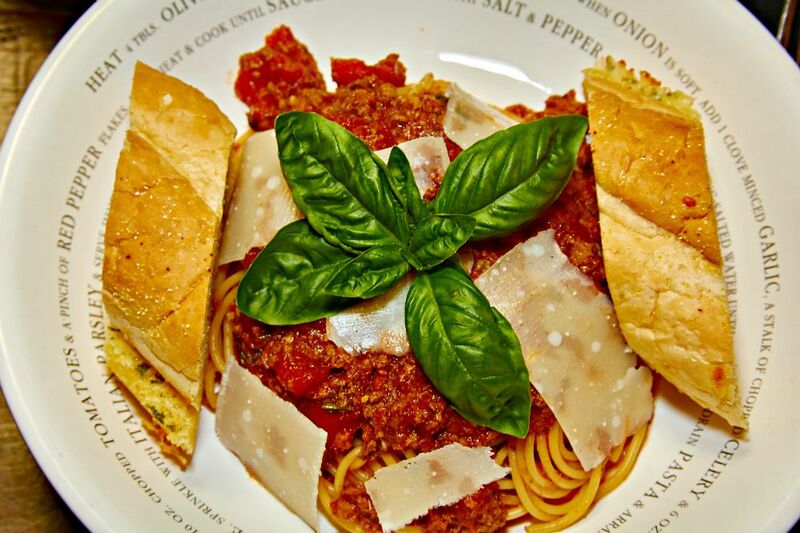 Try our Slower Cooker Tomato Meat Sauce Recipe and let us know what you think! Bon apetit! This dinner looks absolutely delicious! I have been looking for a good meat sauce recipe! I’ll have to try this one out! It looks delicious! Pepperidge Farm garlic bread is unbelievably good! 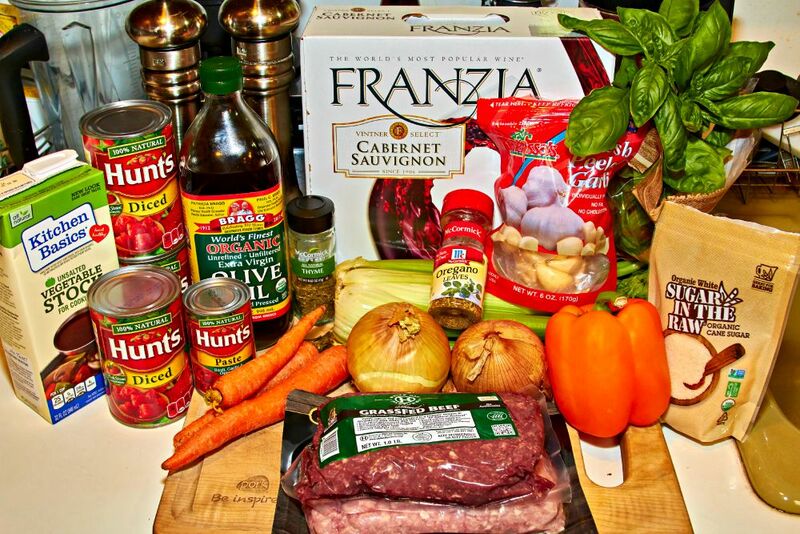 I can only imagine how well it pairs with your slow cooker meat sauce. You’re making me hungry. I love making spaghetti sauce in my slow cooker. It’s always so tasty. Microwavable! What? That is crazy. This is my favorite bread but the microwave? Your dish looks amazing by the way! That sounds SO yummy! What a great dinner idea. Yummy, it looks great! I always keep garlic bread in my freezer to go with meals like this. They make a great addition to the meal, especially when last minute dinner guests arrive! OMG that looks so good. I am so hungry right now!! This looks so yummy. I need to pick up some of this garlic bread. We have spaghetti once a week. This is such a great recipe! I’d like to take this approach for my next Italian meal. That bread would be a great addition. Yum! Spaghetti is one of my favorite meals in the world but I’ve never made it in the crock pot! Your recipe looks delish and it’s taken to the next level by that yummy looking garlic bread! Garlic bread is my most favorite thing in the world. Pepperidge Farms always makes amazing products. My slow cooker is in storage or I would try this asap! That recipe sounds sooo good! I want to reach through my computer screen and just grab it! My mom used to make a sauce very similar to this one and it was delicious! I cannot believe you can microwave bread! This sounds and looks delicious. I like the idea of making it in a slow cooker! I will have to try that bread. Looks good. This look amazing. I think I will make it next week. I don’t eat pasta much because I HATE onions (even the smallest bits of them) but if I make it myself I can just leave them out. I love slow cooker recipes! 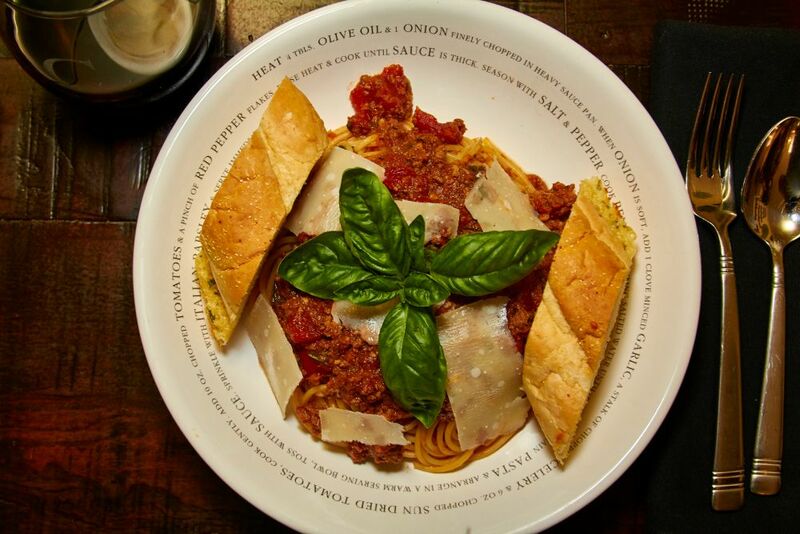 this meat sauce looks tasty, and so does the garlic bread! Your meat sauce looks great and love slow cooker recipes! This is now on my list to do! Yum, that looks like an amazing meal! Italian food is our favorite here. A real crowd pleaser! My picky eater would love this. Garlic bread makes her happy! This sounds divine! 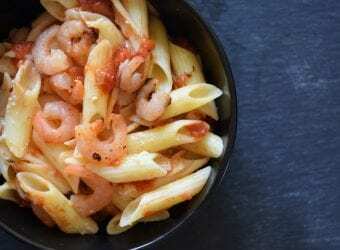 I love a good pasta sauce and this one seems so simple to make 🙂 I really like how many veggies you get into the sauce so it’s much healthier than anything you can get at the store – and adding some wine to it definitely helps! 😉 Thanks for sharing, I’m going to have to try this soon. We love using the slow cooker! It’s so easy and convenient! I use my mom’s meat sauce recipe but yours looks more delicious. I will follow your recipe and give some to my mom to sample. Thanks for sharing! That looks delicious and so much easier than the long drawn out on the stove sauce that I have made before. Love crock pot ideas! Great recipe! This looks delicious. I will have to pin it for later. I am sure my kids will even love this one! This sauce looks so delicious. I love Pepperidge Farm Garlic bread. It is great with any meal. Crockpots are my favorite way to make meals. I’m constantly on the lookout for a homemade spaghetti sauce. This one sounds delicious! I love any recipe I can make using my slow cooker. I think I used my slow cooker almost every day this week. This recipe looks delicious. This looks so delicious. I love my slow cooker. I will have to try this next week. Wow! That is a fabulous slow cooker recipe! I didn’t think about doing a meat sauce dish using the slow cooker. Thanks for the idea! That looks so delicious. I love slow cooker recipes because you simply dump all the ingredients in the pot and leave it. I love your tomato meat sauce recipe in the Slow Cooker. It looks really easy to make and we love the garlic bread that goes with it. I will have to make this soon. Thanks for your awesome recipe! Never made my own meat sauce but it looks easy enough. Will have to do this the next time we have sauce with dinner. This looks super tasty! Can I come over and try some? This looks absolutely delicious. Garlic bread is my favorite so I know this would be no exception…not to mention, you make it in the microwave! Microwavable bread, who knew? And I do love a good sauce recipe! I love crockpot meals! Plus, a huge thumbs up to all the organic ingredients! I love how you perfectly laid out this recipe. I need to try this! I just love slow cooker recipes. I’m going to have to try that sauce! I bet it smells amazing in your house when you make it! This sounds like a lovely tomato sauce recipe and I would love to try it out! Thanks so much for the recipe. 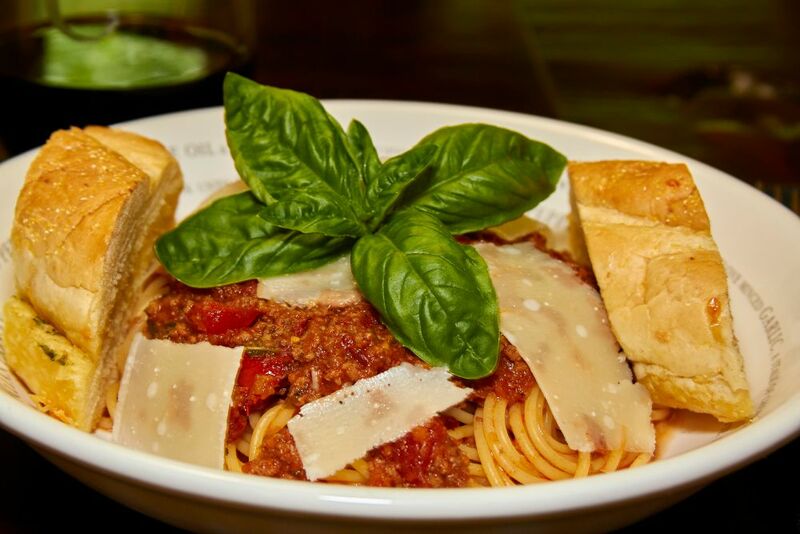 This tomato meat sauce looks delicious! And, with all those veggies mixed in (that kids can’t see), it would certainly be well worth the work! I’ve never tried sauce in my crockpot before. I bet after a few hours it would be as amazing as this! Yum, I have been using homemade sauce ever since I started my garden in our backyard. It is a lot tastier. Thanks for sharing your recipe. I am going to need to find that bread. What a time saver that it’s microwavable! I love spaghetti and tomato meat sauce, with garlic bread! Besides pizza, it’s my favourite dish!!! The presentation photo looks simply delicious!!! This looks like such delicious slow cooker meat sauce. I am so going to be making this recipe. It looks so good. Thanks for sharing. What a cool, and sneaky way to get your kids to eat their vegetables!!! I love it! 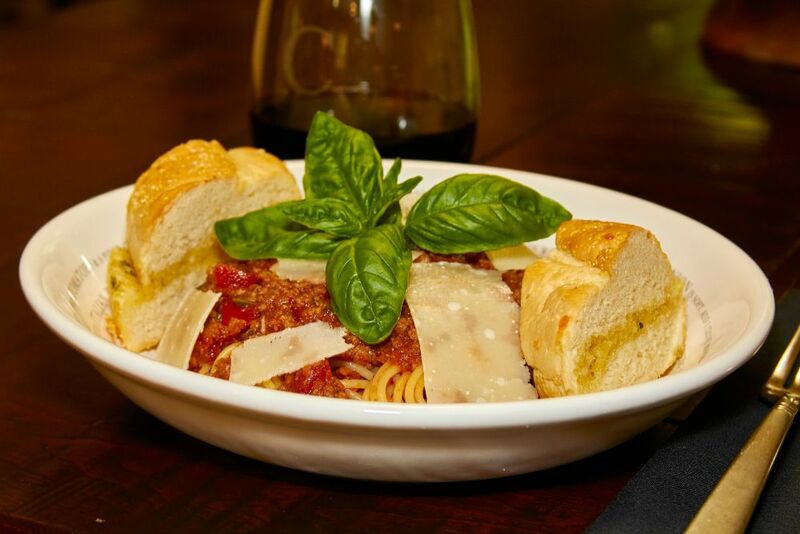 And, the meat sauce and spaghetti looks delicious! Especially with the freshly made garlic bread! I love crockpot recipes and am always looking for new ones. This recipe looks and sounds amazing! This slow cooker tomato meat sauce sounds like a great idea to get the veggies in! I am not a big vegetable eater…and I think that this recipe would do the trick for me!!! That looks so good, I’m going to have to try to do it in my slow cooker. I hope it comes out as good as your look. Love it! 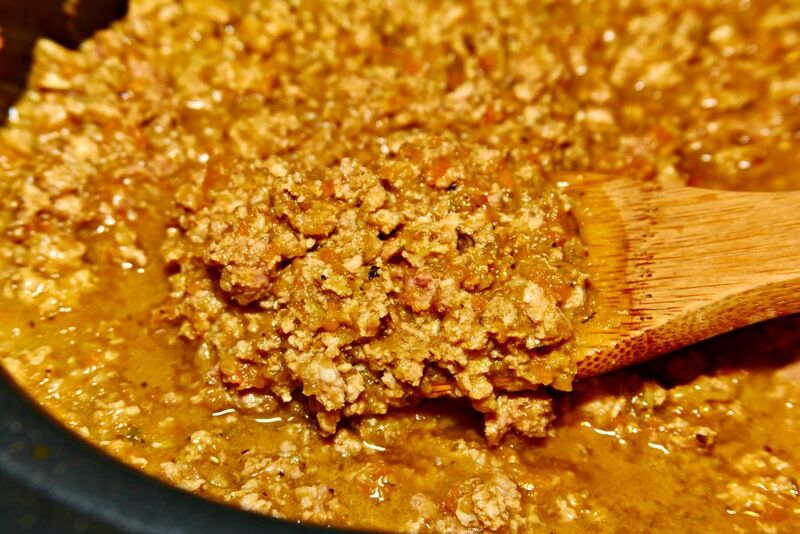 Your Slower Cooker Meat Sauce looks awesome! Hope you are having a great day and thanks so much for sharing with Full Plate Thursday. Using a slow cooker is a great idea. I boiled tomato sauce today to thicken it and it took forever! I could have done in the slow cooker and left it alone, and come back with it thick. I have made this before and it is super good. I have to admit the very best way and time to do it in my opinion is with garden fresh tomatoes. I just made something like this that was quite close to your recipe and it was an easy way to get the tomaatoess reduced down and I was running behind so added the other ingredients and it waas wonderful. I really is so good I have skipped the noodles and had it over the gralic bread. This sauce sounds so amazing! I’ve never made my own sauce from scratch in my slower cooker, but I’m definitely going to try this. Thank you for sharing! This looks yummy. I do like my spaghetti. I’m looking forward to giving this a try. Thank you for sharing this recipe. This looks delicious. One of the things I like is making homemade sauce from the gardens tomatoes. It smells amazazing! I could eat this without the pasta even just spreading the saauce of harlic toaast it is so good! I would have to add some cheese though! This looks delicious. I can’t wait to try your Slow Cooker Tomato Meat Sauce Recipe. And I’m really looking forward to trying the Pepperidge Farm Microwavable Breads in both Garlic and Mozzarella as well. Thank you for sharing this post. I tried 2-3 variety of sauces to make at home, and I know this is gonna be the best and delicious one. 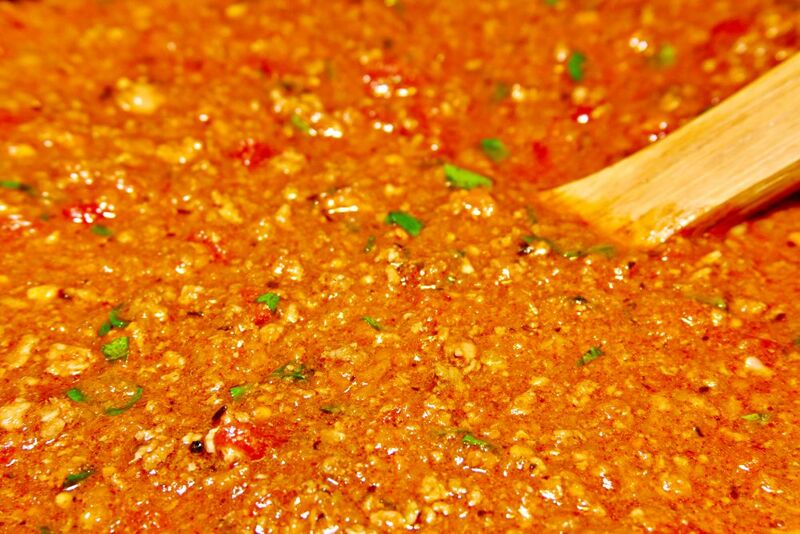 Love this meat sauce recipe.